Keane, the country’s leading provider of comprehensive unclaimed property services, is proud to announce the addition of Brian McCarthy as a Manager within Keane’s Consulting & Advisory Services Practice. Mr. McCarthy comes to Keane with extensive operational expertise in the financial services industry and more than ten years of experience managing unclaimed property within the broker-dealer and investment banking sectors. Mr. McCarthy’s familiarity in addressing the complexities of unclaimed property within the brokerage industry will be a valuable asset for Keane’s clients. Prior to joining Keane, Mr. McCarthy served as Assistant Vice President at Bank of America Merrill Lynch and previously Merrill Lynch, Pierce, Fenner & Smith, where he oversaw and managed the annual unclaimed property reporting and escheatment program, which honed his skills as a subject matter expert for unclaimed property audits and compliance within the organization. Mr. McCarthy is a member of the SIFMA Unclaimed Property Task Force and currently serves as a member of Government Relationship and Advocacy Committee for the Unclaimed Property Professionals Organization, previously serving as Eastern Regional Vice President. Mr. McCarthy earned his degree from Raritan Valley Community College.  Keane is the country’s leading provider of comprehensive unclaimed property solutions. From customized communication programs to in-depth consulting and annual compliance outsourcing, Keane provides corporations, mutual funds, banks, brokerages, insurance companies and transfer agents with a full suite of professional services. Keane employs more than 175 people across the country in its New York, NY headquarters, main operating facility in King of Prussia, PA, and various satellite offices.